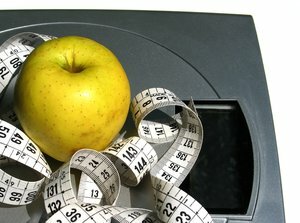 As people diet, they focus more on cutting calories and carbohydrates, rather than on the important needs of their body. In other words, as you diet you can starve the body. The body then responds by slowing its metabolism, and now the body isn't getting what it needs and it isn't burning calories very efficiently. To make matters worse, the body can actually add layers of fat as it tries to fight the sensation of starvation. It's no wonder that 70 percent of people who diet eventually end up heavier than they were before the diet. 1. When you're hungry, eat. Hunger is different than a craving. Real hunger builds over time and sends a physical signal. That doesn't mean that you should wait until you're starving. But you also shouldn't eat every time you get a craving or feel bored. 3. Eat consciously. Chew slowly and enjoy every mouthful. When you do, you'll notice that you eat slower, eat less, and eat more variety. 4. Stop eating when you're full. As soon as you think you're full, then stop eating, and wait a few minutes. If you actually feel hungry again after five minutes, eat a little more. But more often than not, you'll probably discover that you're not hungry after those few minutes. McKenna's overall advice presents a healthier attitude to food that just may lead to a healthier you.